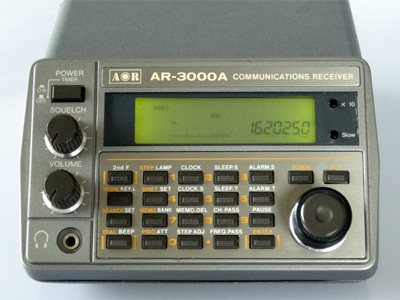 There are two ways to make a discriminator output in the AR-3000. 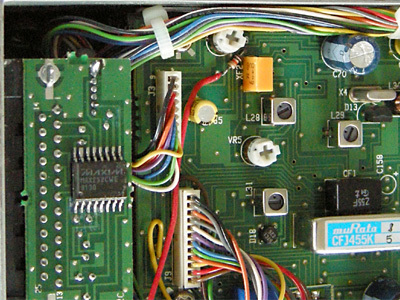 The first one uses a connection to the MC3357 FM receiver IC, which is quite an operation. 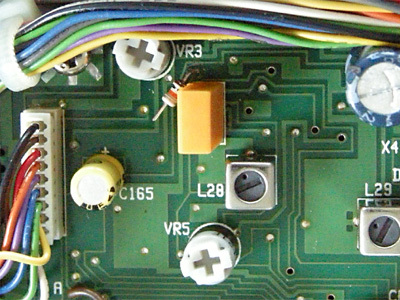 Luckily, the unfiltered audio can also be found at a circuit board via that can easily be reached. The via can be found close to the orange filter XF2 and potmeter VR3. A 10 k miniature resistor is soldered to this via. 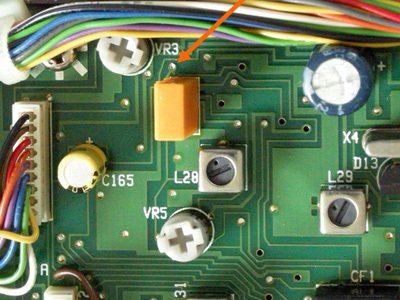 As the via is hollow, the resistor's lead can be mounted into this hole. A 3.5 mm mono chassis socket can be mounted into the back panel. The chassis contains a spare location that can be used. The other lead of the resistor is connected to the socket's inner conductor. As the chassis is connected to ground, no separate ground connection is necessary.